Heathrow is investing in new infrastructure on a huge scale. Some elements, such as the new Terminal 2, you can see; others are hidden from view. 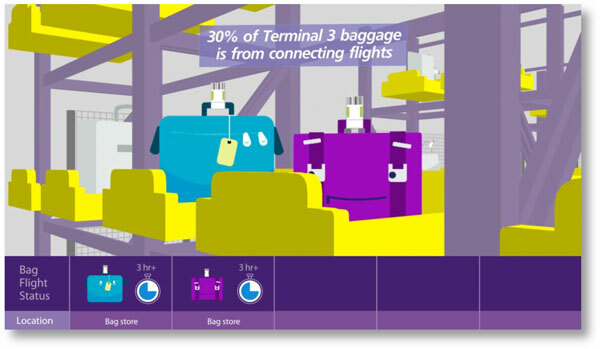 A new airport-wide baggage system is one of those behind-the-scenes changes that’s speeding up the flow of bags and improving the reliability of baggage handling. 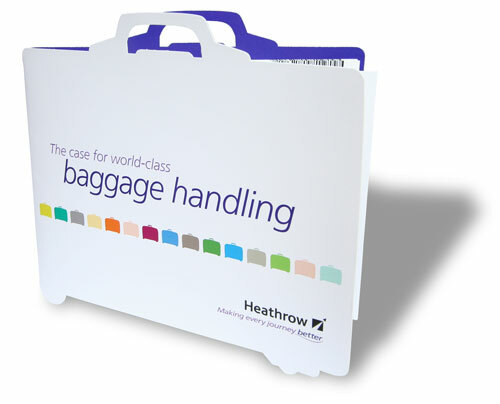 Heathrow’s challenge was to keep its stakeholders – the airlines and baggage handlers – on board and fully engaged with the changes. 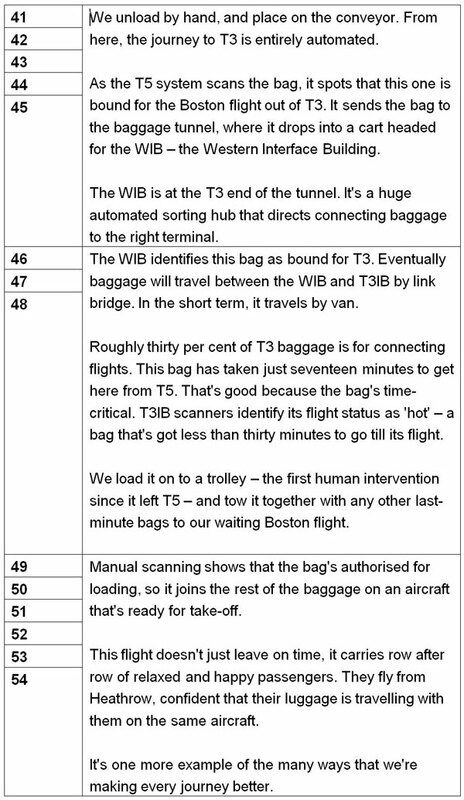 During the early stages, we wrote copy for an informative, baggage-shaped brochure (see image directly above). Later, as the launch date approached, we scripted an animated video that showed how the system worked. The animators, Chaos Design, came up with a neat idea in which the bags themselves had personalities. There’s a short extract between the quote marks. To see the full video, click the link below.